As the sole designer on the project, I was tasked with planning and designing the entirety of the DEKKI.com game strategy publishing platform. The product's main goal was to give a voice to the underserved Japanese market, with a secondary goal of expanding into other international markets. Since every game is different in its data structure and content, the site needed to be flexible in order to easily mold to different requirements. The site also needed to bring focus to the expanding esports market, and provide a place for community interaction, competition, influencer appeal, and link directly to the game developers themselves. Starting with user-stories, site mapping, and basic user flows, I built the initial architecture of the DEKKI.com platform. Wireframing and prototyping were essential in understanding how users would move through the site. We also planned the site around building “components” that could be inserted into the publishing windows, and allow for more customization per title. We worked with a lean UX methodology in mind, trying to iterate through design patterns and choices quickly so that development could continue to push through to MVP. After launch, we worked in sprints, looking to release new features and updates on a consistent basis. Initially, DEKKI was planned by analyzing a wide array of user stories, attempting to give our MVP a focus before putting pencil to paper. We wanted to make sure that users did not have to sign up in order to get value from the DEKKI publishing platform, but if they did choose to sign-up, the value increased significantly. We wanted to encourage the community to share strategies and opinions, and also provide gamers simply visiting hints and tips about their favorite games. After a thorough analysis of potential user wants and needs, we moved onto site mapping and user flows, making sure that navigating the site would be intuitive and smooth. In addition to designing the user-facing DEKKI site for gamers, I was also in charge of designing the CMS and administrative backend for the site. Users with special permissions can be given administrative access to changing banners, posting specialized content, and controlling the creation of community tournaments. They can manage users as well as their content. Separately, the DEKKI CMS was designed in order to allow internal staff to add game data and image assets to DEKKI as new games need releasing. 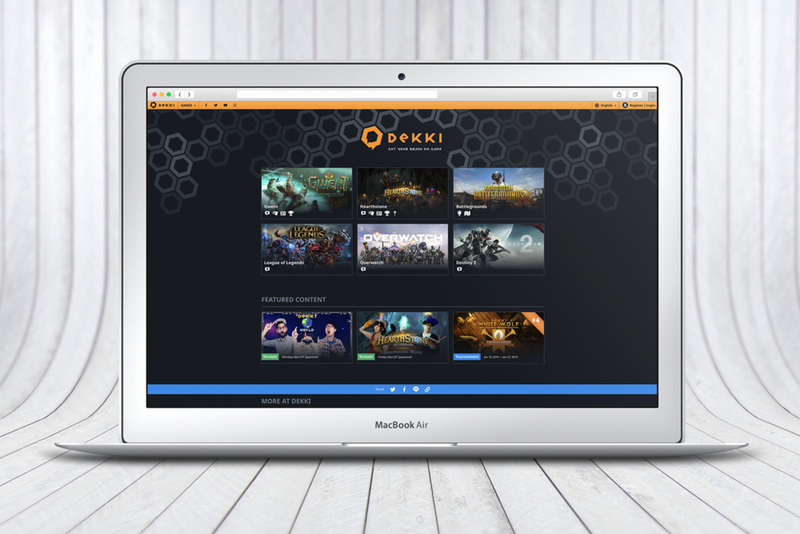 Since game data comes in many different formats, the goal of the CMS was to take data received from the gaming companies and turn it into something DEKKI can output. This process needed a user-facing design to make it easy and intuitive to use. With the ultimate goal of opening up the CMS to DEKKI users in the future, usability was key from the start.